New year, New make-up / beauty products... right?. No, but seriously. 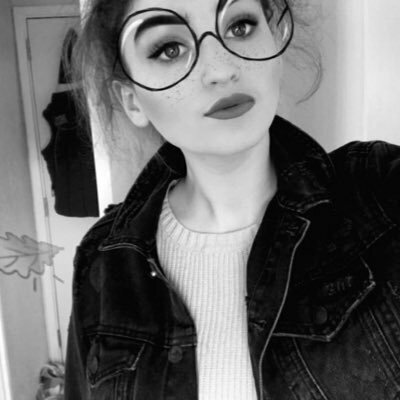 This month has been great for me, I've started my new job as a waitress which is a big thing for me as it's my first job (eek). As well as a new job I brought lots of new Make-up and skincare products and here are a couple of the products I've been loving this month. I brought this as a one off. just to try something new really but I am LOVING it. It makes my skin look so healthy and it gives such a lovely glow, It's easy to apply and blend and I absolutely love it, you can find this HERE. This contains keratin which keeps your hair so lovely and smooth. I feel my hair looks and feels a lot healthier since using this because I haven't used one before this yet I'd use heat on my hair (what was I doing..) I feel this is making a difference to my hair. I love the smell and I will be repurchasing this as soon as I need too. It's very affordable too, you can find this HERE. I hadn't used a scrub before this one but I will say I'll definitely be using them from now on. This smells absolutely gorgeous, it makes my skin so soft and smooth and for a scrub its gel like so it's relatively gentle (great for my sensitive skin). I'm unsure on whether this will be in stock soon so here's some simular scrubs. This is something I repurchase a lot, especially in the winter because of the dry lips. It smells good enough to eat and it's so moisturising and it makes your lips so hydrated and smooth, you can find this HERE. MUA is a very affordable brand, great on a budget the polishes are only £1!. The colours gorgeous. This lasts a couple of days and I just really like the way it looks, you can find this HERE. Recently I've heard a lot about the Bourjois healthy mix foundation. 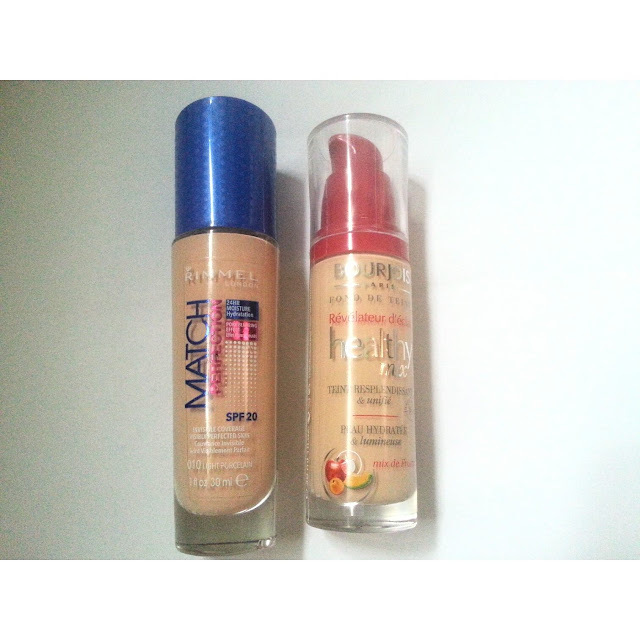 I recently bought and reviewed this as a change from my Rimmel Match Perfection foundation. I am quite drawn to Rimmel foundations just because they were what I started using and also with my skin being quite sensitive I know they work for me. However, I am beginning to try new products and push myself out of my comfort zone a little. A little insight on the products. 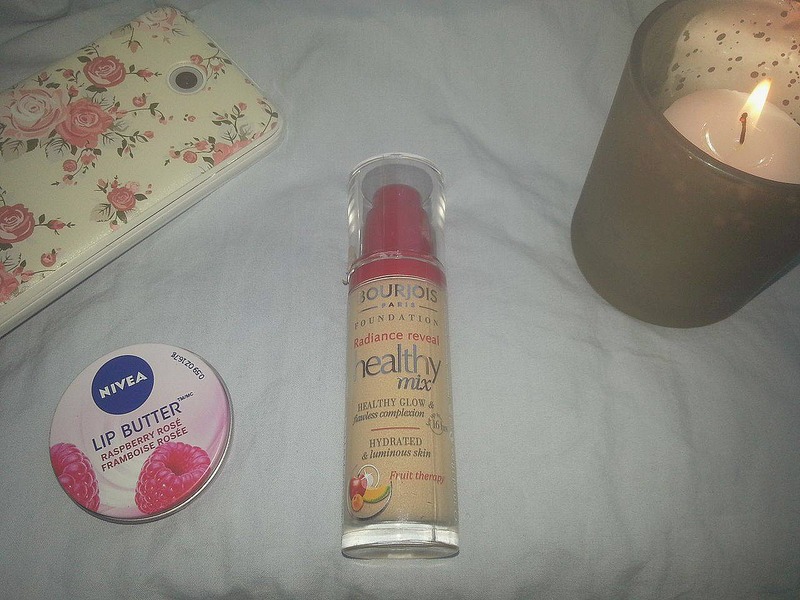 The Bourjois healthy mix foundation includes fruit therapy. This is made up of apple, melon and apricot extracts. The apple is for youth, the melon for hydration and the apricot for radiance. The product states 16-hour hydration. However, Doesn't mention how long the product will last. This also contains crystalline pigments to even skin tone, it states it is easy to blend. There isn't many shade variations I noticed, I brought the lightest but it's a little too terracotta for me. The Rimmel match perfection foundation has s 24-hour moisture, which sounds like a bold statement, it also has pore blurring technology which sounds really promising in terms of coverage too me. The product also promises SPF 20 which is always handy and invisible coverage creating a picture perfect look which sounds really great. They have a good range of shades and this was only £7.99 which makes it the cheapest out of the two. Both of these foundations sound great, they both have many properties. They're both great on a budget as they're both no more than £10. So which is the better foundation of the two? you ask. Well, Here I'm going to rate both of the products /5 in different areas resulting in an overall score out of 10. I applied both of the foundations with my fingertips and didn't use any powders/ primers purely so I can see how the foundation acts on its own. I'm going to rate this based on my own skin type which is a combination of oily and dry my skin is also quite easily irritated, my preferences in foundation are ; full coverage, matte and long lasting. Both products have a pump which I feel means minimal waste so you can get exactly what you pay for they both have glass bottles as well. Match perfection- glass bottle, the lid isn't very practical as lid slips off easily in comparison to the the healthy mix so I wouldn’t advise leaving it in your handbag.. Especially if it is white (eek). The packaging is quite pretty and I do like it. Bourjois - glass bottle, more secure lid so it wouldn't slip off to easy. Slightly slimmer than the match perfection foundation but still 3oml. I like the packaging on this and the face it has all the little fruits on, it makes me think it's going to do my skin some good. 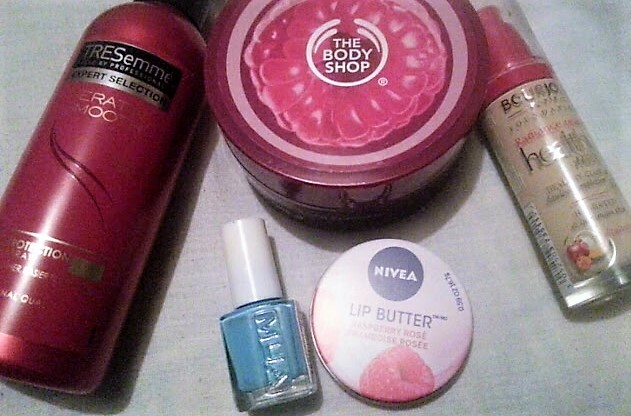 Overall I believe because of the ability to carry it around if needed and not have to worry about it going everywhere I'm more likely to chuck the bourjois one in my bag in a hurry. However due to them being essentially identical I'd say it's a draw. Overall I'd say the Rimmel match perfection Is the best In terms of general wear. So which foundation is the best? Although the Rimmel match perfection is the highest scored out of the two, They're both good foundations depending on your personal preferences and skin type and although the score for the Bourjois is lower I think it'd make a good foundation if you don't have combination/oily skin like myself. I think they both have great properties. Have you tried these foundations?, what did you think? In the winter I generally have to step up my Skincare game, My skin becomes drier than usual. As well as this I generally have quite a sensitive skin so I have to be careful with what I use in terms of products. If you suffer from dry skin too, you've come to the right place!. Here are my top tips for keeping your dry skin hydrated this winter!. The first step to take is exfoliation, Exfoliation gets rid of all those dry, dead skin cells which can also help to even out your skin tone!. Exfoliating also creates smoother and softer skin. (Exfoliating your face helps to control breakouts by unclogging your pores as well). Personally, I'm loving the Body shops 'Early harvest raspberry body scrub'. This is currently only £6.50 which is an absolute steal for the quality of this product. I use this 2-3 times a week and I love it, The texture of this is sort of jam like, which makes it quite gentle on the skin (depending on how firm you apply it). 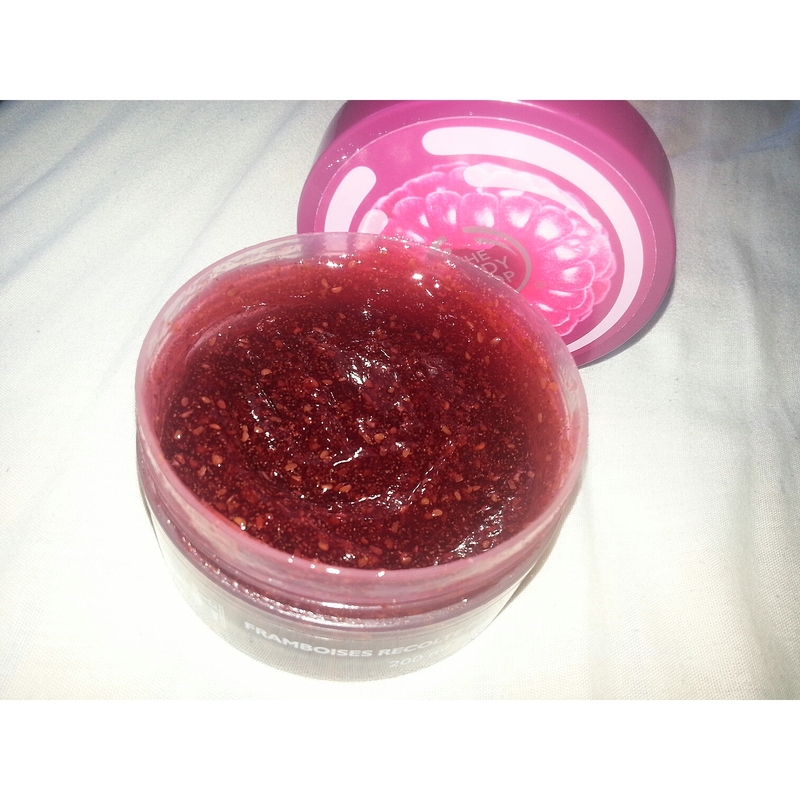 This smells completely of raspberries which are gorgeous and really makes your skin feel lovely and smooth. 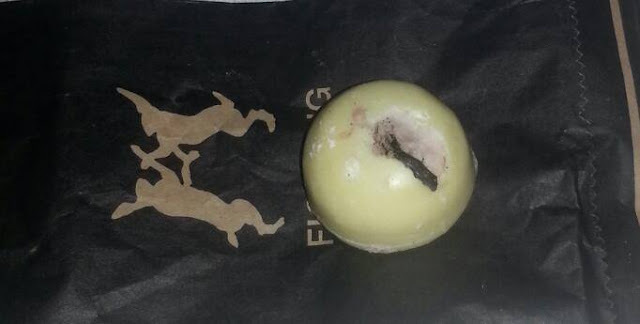 The body shop is against animal testing. They also have lots of other scrubs available if the raspberry scrub isn't really your thing. 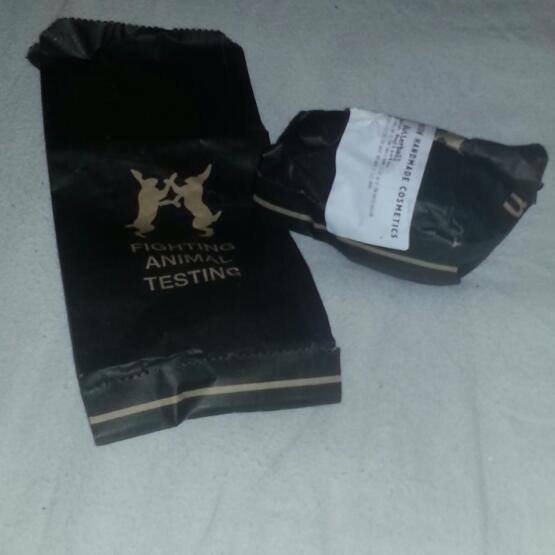 If you go into a store they have testers of all the products available so you can find your favourite. Moisturising your skin is a great way to put hydration back into your skin. Moisturising is important when you have dry skin. 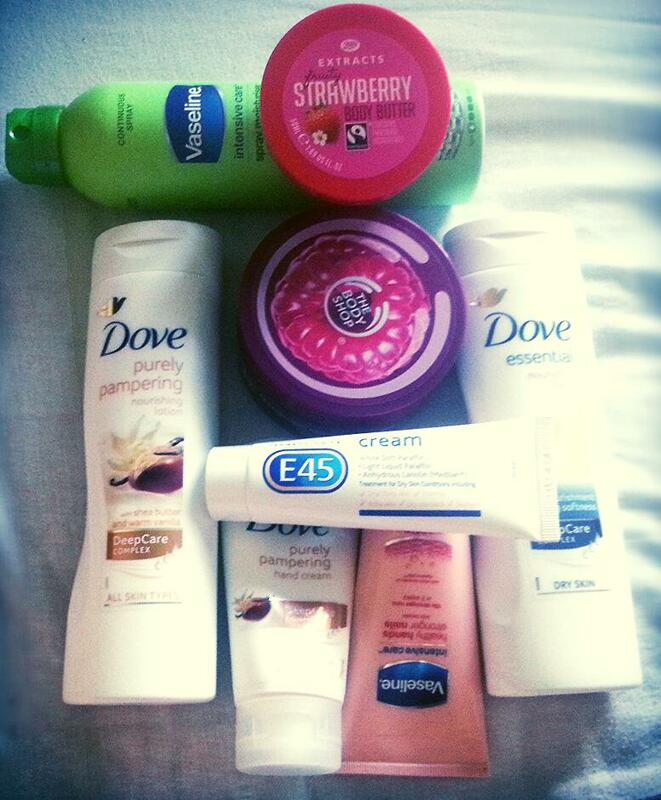 Moisturisers contain a few ingredients. Some of these ingredients are occlusives. The occlusives form a sort of barrier on the skin to stop the water (hydration) from leaving the skin. As well as this they're made up of emollients which smooth the skin and humectants which attract water and, therefore, hydrates. 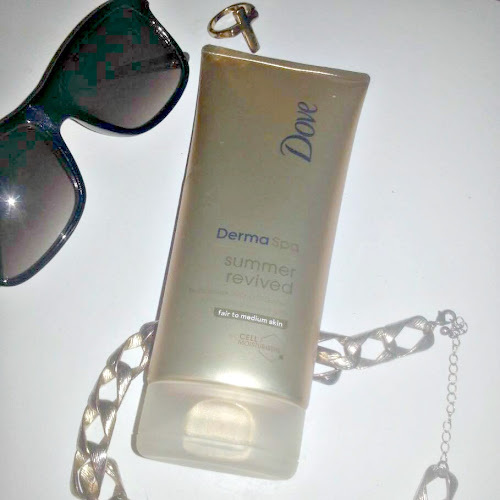 Personally, I'm a big fan of products!, for very dry skin days I use the 'dove essential nourishing lotion' this is amazing on my skin, clears up most of my dryness in 1 use. I'll use this once a week. 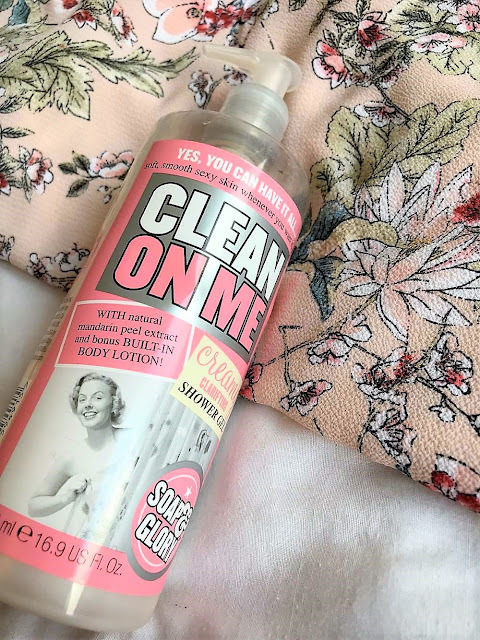 I also use the 'Dove purely pampering nourishing lotion' throughout the week, This smells gorgeous I'll probably use this 1-2 times a week it's hydrating and the hydration lasts a few days, I've found this fine on my sensitive skin as well, which is a bonus. 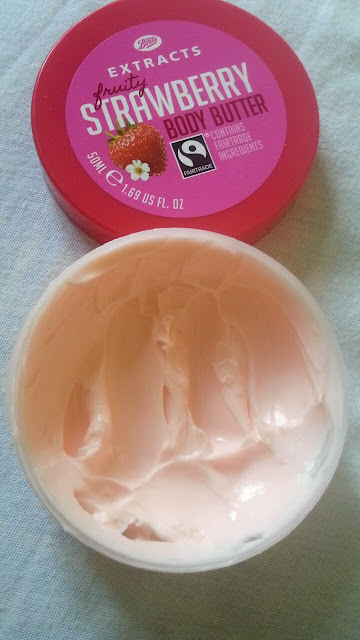 Every now and again I'll use the 'Boots extracts fruity body butter'. This is very affordable and contains fairtrade ingredients which are great but although this hydrates my skin and smells of strawberry and cream which is amazing, it's usually only for a day or two so for that, I prefer the dove products. If you're in a rush the vaseline spray and go is a good quick fix for moisturising, I use the aloe soothe which smells great, absorbs quickly and generally does hydrate quite well and usually lasts a couple of days. For any very pesky flaky bits of skin or any very itchy bits I use a little E45 cream, This is my holy grail for dry skin as I suffer from mild eczema. You can use this for so much (dry/flaky skin, eczema, itchy skin, dry psoriasis and sunburn) It's just really handy and doesn't cost too much either which is great!. My hands are usually an issue where dry skins concerned through the winter. 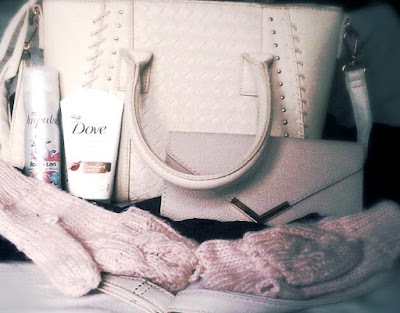 I've recently started using the dove purely pampering hand lotion which hydrates my hands so much. If I'm outside for the whole day I'll use this 1-2 times, It makes them feel so soft and I don't have to worry about them then for the rest of the day. It's very budget friendly and also smells amazing. I also use the vaseline intensive care which not only hydrates my skin amazingly it also helps with nail growth which is fantastic, this is also quite affordable and the quality is great for what you pay for it. What are your dry skin heroes?. When I first saw this foundation the thing that stood out the most to me was the 'fruit therapy'. This foundation contains apricots, melon and apple. The apricot is for radiance, the melon for hydration and the apple for youth. I haven't yet used a foundation with 'fruit therapy' before and I thought this would be a good thing to try. 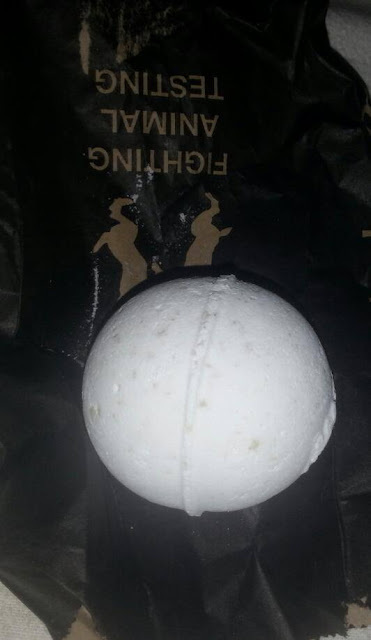 It smells absolutely amazing too. This foundation also claims to be 'Hydrating and luminous' which, for me hydrating my skin is a must as I get very dry skin through the winter, I'll use a moisturiser in the morning however I don't want my foundation to dry my skin out so this sounded great to me. I also noticed the shade, I often find it difficult to pick a foundation that isn't too dark or orange. However, This seems like a nice light shade that suits my skin quite well (hallelujah!). 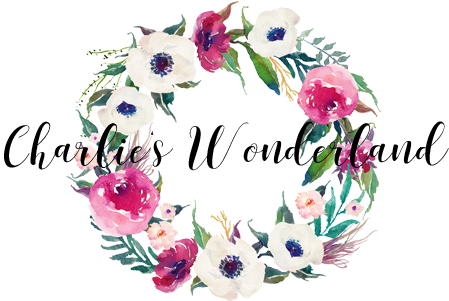 When I applied this I must admit it gave me a very healthy glow, it did not at all dry out my skin and the shade suited me well. ticking all the boxes for me. I applied this foundation with my fingers and around 2 layers gave me a great coverage. However, If you're after for a more natural look 1 layer is brilliant for that. However, I didn't apply powder as I wanted to see how long this lasted purely on its own, This stayed on for around 6-7 hours which Is great for me comparing to other foundations I've tried. This foundation is definitely something I will buy again. Have you tried this foundation?, what did you think? I feel as though everyone's bags has those essentials in that you couldn't leave the house without. I quite enjoy reading/ watching what's in my bags videos and being a bit nosey but I like to see what people just simply couldn't go anywhere without! So I've decided I'm going to tell you what's in my bag (under all the chewing gum wrappers that I specifically removed for this). £17.99 which I got as a Christmas present, I absolutely love it. It's so beautiful. I literally never leave the house without a can of this in my bag. I absolutely love the 'Rock and Love impulse' at the moment, this has the nicest floral smell it is gorgeous!. £3 Primark (total bargain!). However, they are only available in store. Another winter essential for me as I get such dry skin in the winter. I'm currently using the Dove purely pampering hand cream with shea butter and warm vanilla which I got in a gift set for Christmas. However, I'll definitely replace this once it has run out. This has a gorgeous smell, Its very moisturising and I use this quite a lot. It keeps my hands lovely, soft and hydrated. I'll also carry around a little make up for touching up throughout the day. (depending on what makeup I wear that day).